We are excited to announce the Isha Hata Yoga Teacher Training Program, July 22nd to December 16, 2013. 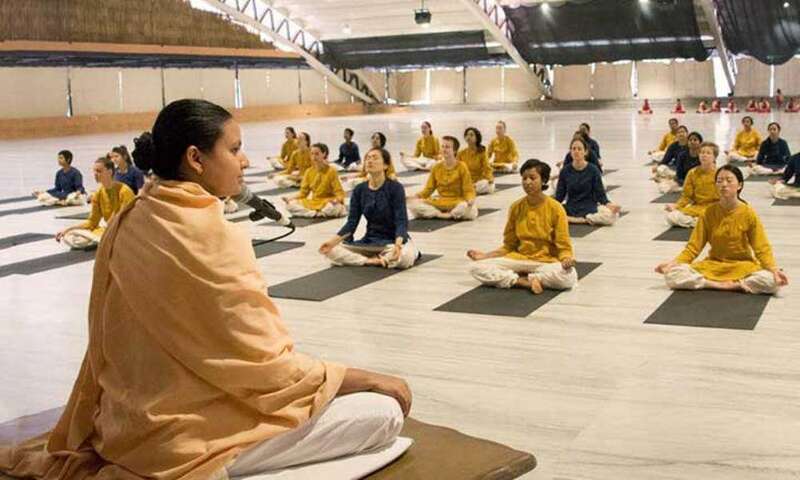 The 21-week program, devised by Sadhguru, to be held at the Isha Yoga Center is a wonderful opportunity for one to receive training in classical Hata Yoga. Open to meditators and non-meditators, it is an unparalleled possibility to experience and acquire a complete understanding of the yogic system and also transmit it to others.Upon completion of training, students will be qualified to establish their own studio or teach private Hata Yoga lessons. The Program is an extensive exploration into the full depth and magnitude of Hata Yoga. The Hata Yoga Teacher Training program, offered by Isha, is an extensive exploration into the full depth and magnitude of Hata Yoga. The program will revive and impart various dimensions of this ancient science which are largely absent in the world today. Far from being a training regimen that presents yoga as just an exercise form, this unique program will bring forth the original purpose of yoga: to help one experience the fundamental nature of the existence. The training program has been designed by Sadhguru, a yogi, mystic and a realized master who hails from the glorious Yogic lineage which finds its roots in Adiyogi, Shiva himself. Hata Yoga is far more than a fitness method for physical health or even a psychological tool to achieve peace and happiness. When transmitted as a live process, it is a profound science, leading one to a mastery over every aspect of the human mechanism. It is a possibility to restructure life towards the ultimate possibility. Hata Yoga is a profound science, leading one to a mastery over every aspect of the human mechanism. The training will take place in the Adiyogi Alayam, an 82,000 sq. ft. hall unique in structure and design at the Isha Yoga Center. Specially consecrated by Sadhguru as a tribute to Adiyogi and an invaluable offering to humanity, the energy in the hall is deeply transformative and particularly conducive for learning Hata Yoga. Upon successful completion of the program, Isha will issue certificates after careful assessment of the students' performance during the training. After certification, teachers will be qualified to establish their own studio or teach private lessons. Post-training support will be provided by Isha. This course is a wonderful opportunity for aspiring Hata Yoga teachers to receive this ancient knowledge from a tradition which has maintained the science of yoga in its full sanctity and vibrancy for thousands of years. Is this program suitable for those who are new to yoga? yes, prior experience of yoga is not necessary to go through the training. It is also open to people who have not done any Isha program . Individuals must be at least 18 years of age. There is no upper age limit. Is the prg only for foreign students? And we didn't get to know how much the course costs. The April edition of Isha Forest Flower is out, and you can read the individual posts here at the Isha Blog or download the pdf at Isha Downloads. Isha’s new ebook, “Drops of Life” is an outpouring of how Isha touched a volunteer’s life, in the form of poetry.